Now that many computers do not come with floppy disk drives, this affordable device is perfect solution for accessing information you have on floppy disks. This external disk drive simply connects to your USB port and your computer is ready to access the information. It reads/writes 3.5" floppy disks with 1.44mb capacity. This super-slim, lightweight and attractive USB Diskette Drive takes its power requirements from the USB port. No external power adapter required makes this diskette drive fully mobile. Super slim and light weight, easy to carry, ideal for Desktops and Laptops. Plug & Play with MAC Windows 10 Windows 8 7 VISTA/XP/ME/2000/SE/98. Powered directly from the USB port, no external power required. 3.5 inch 720KB/ 1.44MB FDD. Available USB bus supply current: 500 mA or less. Date capacity: 720KB/ 1.44MB (Formatted). USB Data Transfer Rate: Full speed / 12 Mbps. Data Transfer Rate: 250 Kbits (720KB) / 500 Kbits (1.44MB). Rotation speed: 300 rpm, 360 rpm recording method: MFM. Media: High Density (2 HD) or Normal Density (2 DD). Acerage Latency Time: 100 MSEC (1.44MB mode) 83.3 MSEC (720KB mode). Operating systems supported: MAC Windows 10 Windows 8 7 VISTA/XP/ME/2000/SE/98. Size: 11.7(L) x 10.6(W) x 1.9(H)cm. If you have any questions about this product by Cipon, contact us by completing and submitting the form below. If you are looking for a specif part number, please include it with your message. 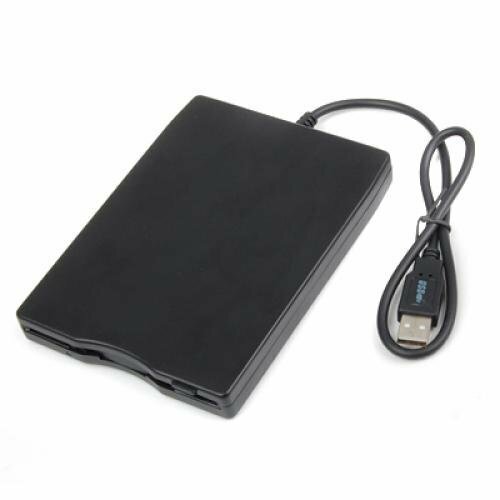 YAHEY 3.5" USB External FDD Floppy Disk Drive Portable 1.44 MB 2HD for PC Windows 98/ME/2000/XP/Vista/Windows 7/8/10,for Mac.